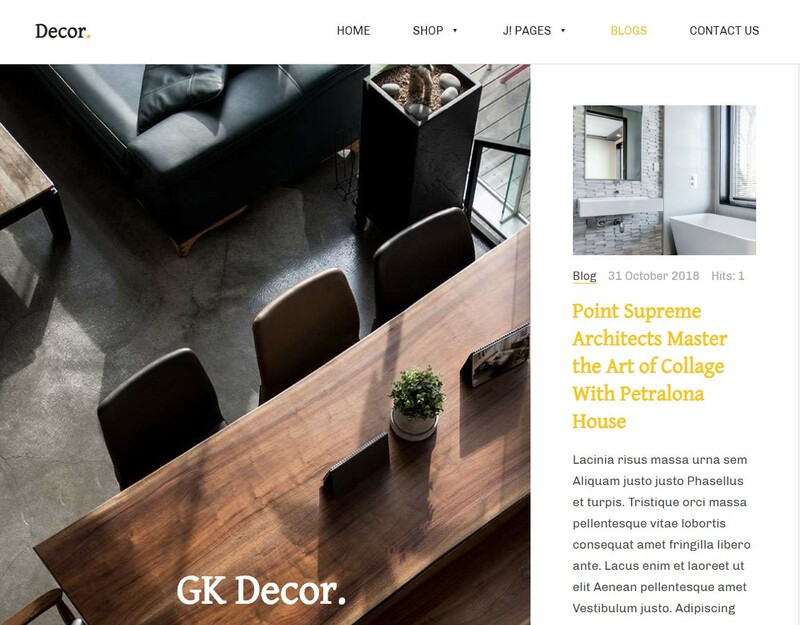 GK decor is dedicated Joomla shopping cart template to build your online store for fDecor and Interior Design. 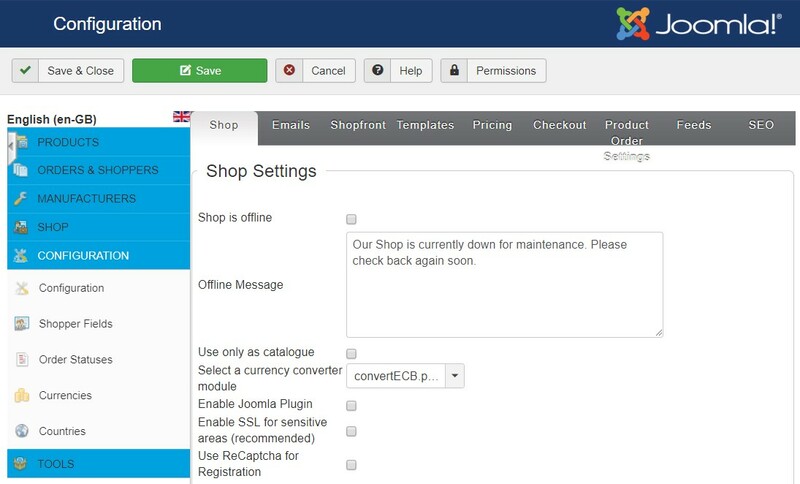 The eCommerce Joomla template fully supports popular eCommerce Joomla extensions: Virtuemart. If you have a mature site that has a lot of content that you'd rather not migrate to a new installation, or if there is custom content that cannot be backed up and restored, then the manual installation would be the preferred install solution. 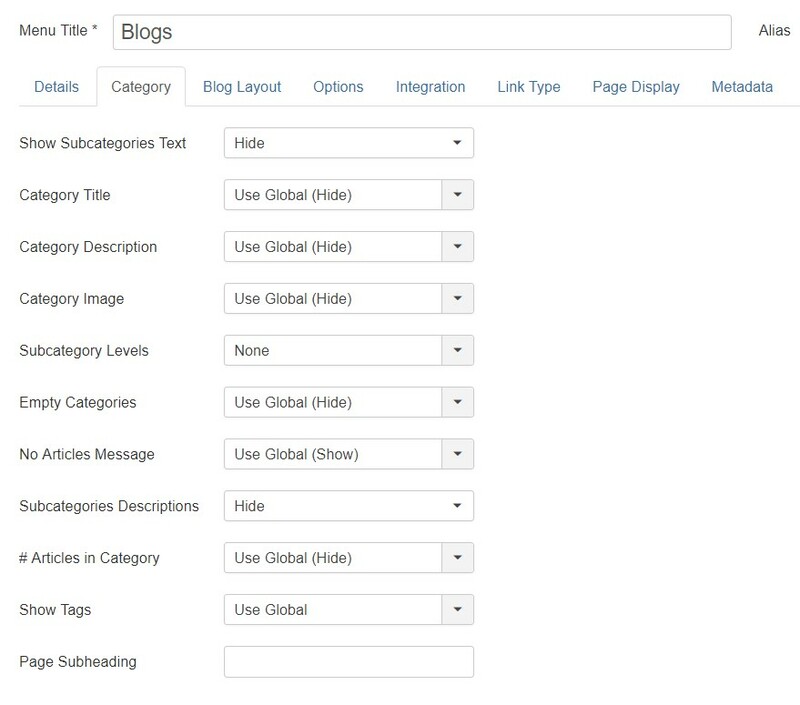 This method will allow you to keep the existing content, but develop the layout and features included with the Box template to frame them in a new and exciting way. 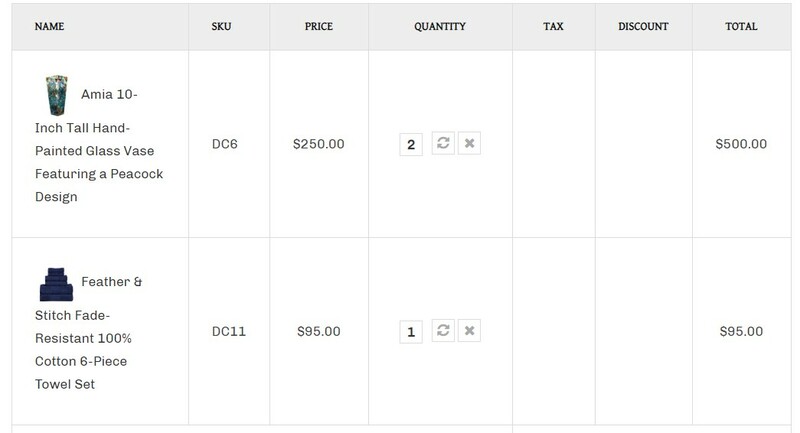 This can be especially useful if you already have an extensive product catalog in Virtuemart, for example. With the included modules you can simply assign your existing products to the frontpage product showcases. However, the major drawback of this installation method is that it is time-consuming; without an automated install it becomes necessary to manually place and configure each of the module used in the template in order to match the demo, though of course this does allow you to modify the content as you go rather than changing the demo content after install. 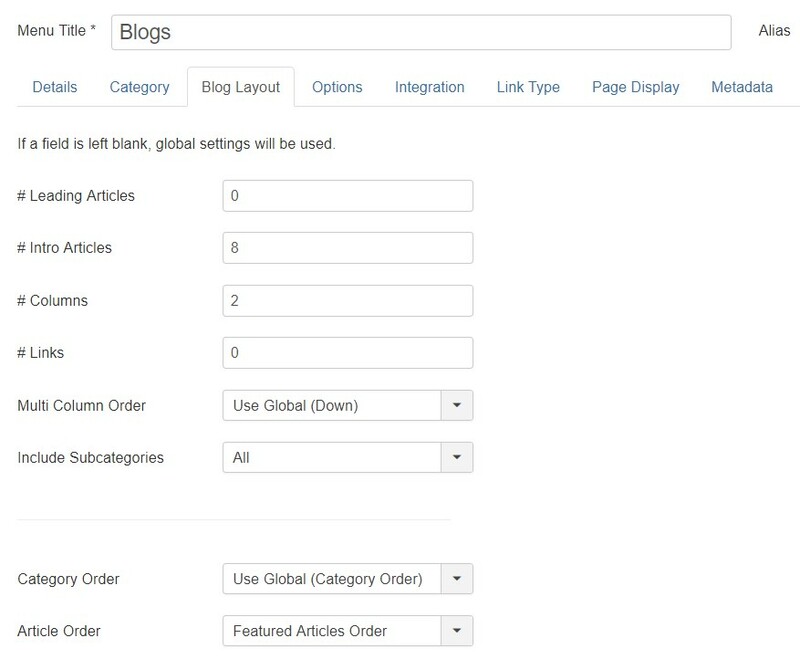 Before getting started you'll need to take care of one minor requirement; to make sure that the layout matches the demo you should first deactivate any existing modules in your Joomla! 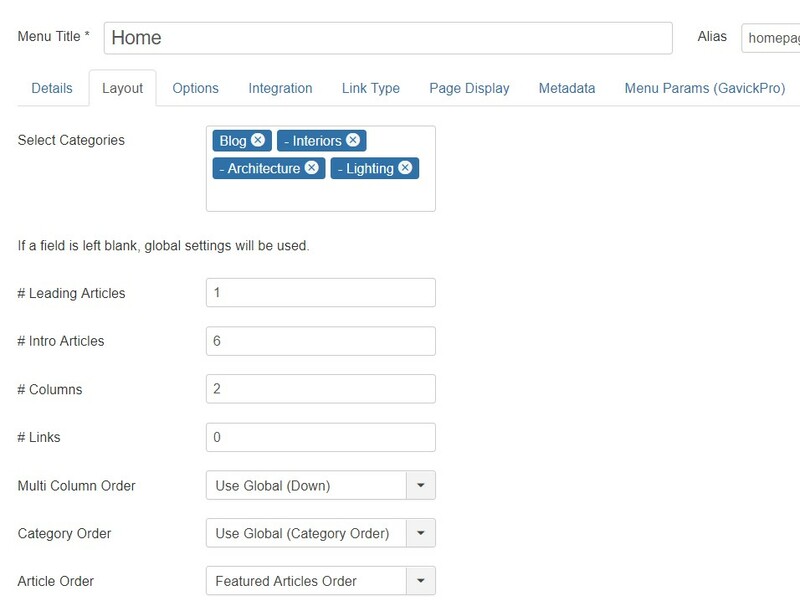 backend, as the install process for Decor template will include placing and configuring several modules that make up the frontpage as well as additional content. GK decor Template - This package contains the basic template files; you should download this package for manual installation. 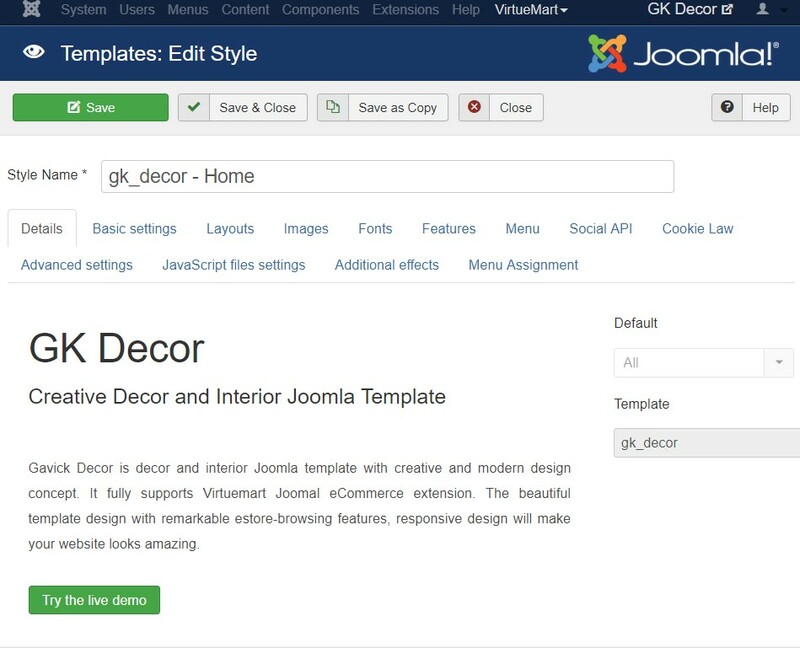 GK decor Quickstart - This contains the quickstart files for a new installation of Joomla that matches the demo layout exactly; this can be ignored if you are installing manually. 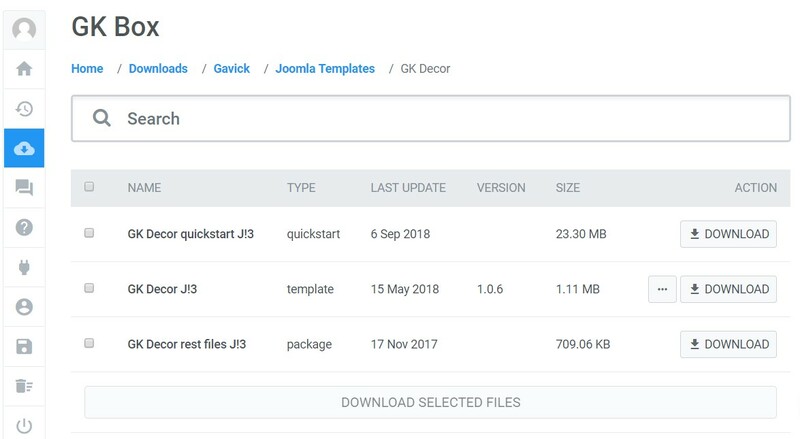 Once installation is complete, click on Extensions → Template Manager to open the list of available templates; you should now see gk_decor in the list. 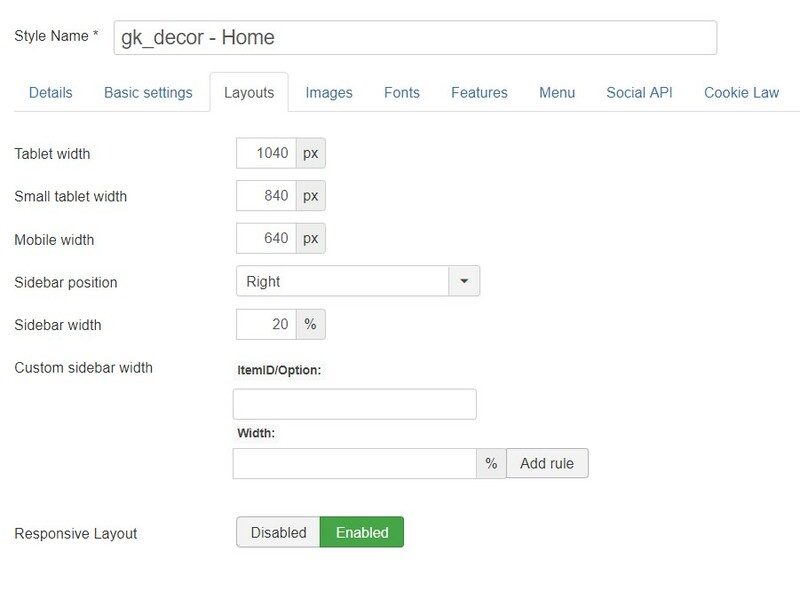 Click on the star next to gk_decor in the Default column to set it as the default template. All the extensions are included in the GK decor download page. You can download all extensions and install one by one. In Safari - Right or control-click on the link and select ‘Download linked file’. This will download a file called decor_config.json. In Chrome - Right-click on the link and select ‘Download link as…’. A dialogue box will open to specify where the download should be saved. The name will default to decor_config.json, so just leave this as default and save the file. In Firefox - Right-click on the link and select ‘Save link as…’. A dialogue box will open where you can specify the save location; as with the other browsers the name will default to decor_config.json so leave this as it is. In Internet Explorer - Right-click on the link and choose 'Save Target as'. A dialogue box will open so you can decide where to download the file to. The file name will default to decor_config.json, so leave this as it is. 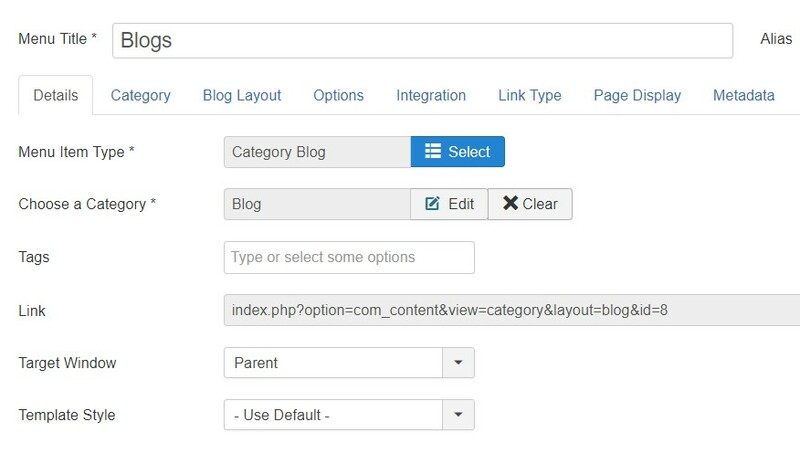 Once downloaded, you need to import the settings into your Joomla installation. Connect to your server via FTP and navigate to the templates → gk_box → config folder; here is where the json configuration files are stored. 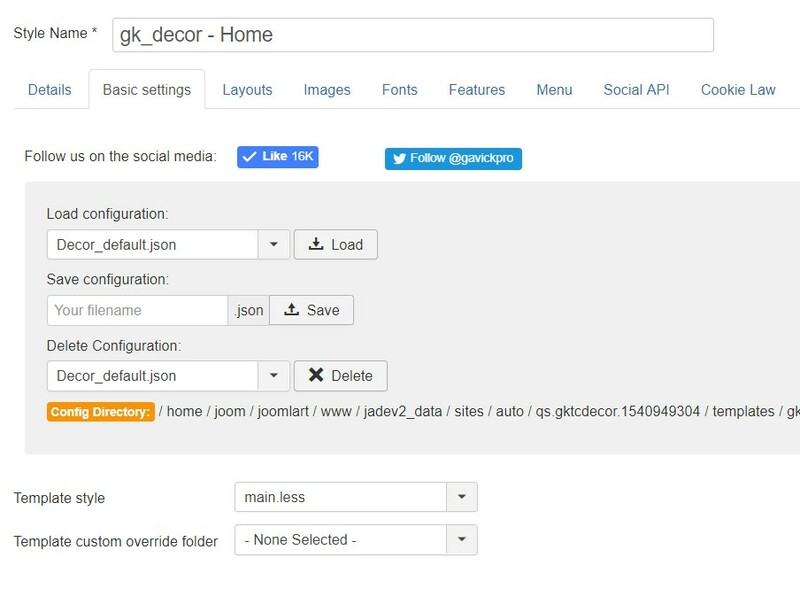 Upload your recently-downloaded decor_config.json to this folder so that it can be found by Joomla. 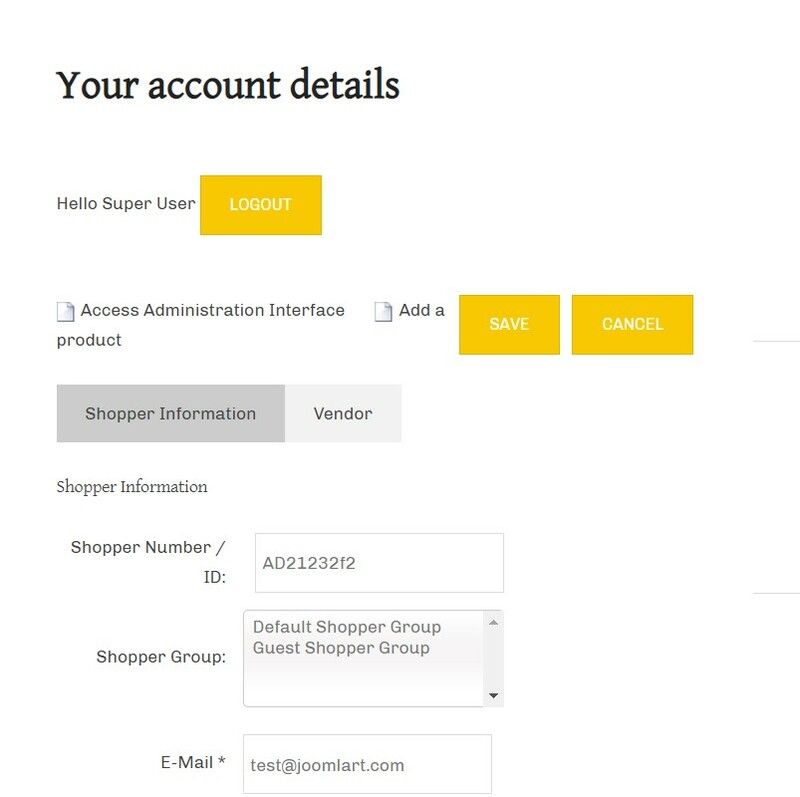 Now you can close your FTP program and login to your Joomla! backend as normal. To upload the folder, firs you'll need to get the quickstart package from the decor download page and download the quickstart package: GK decor. Once the download finishes, then extract the package on your local machine. 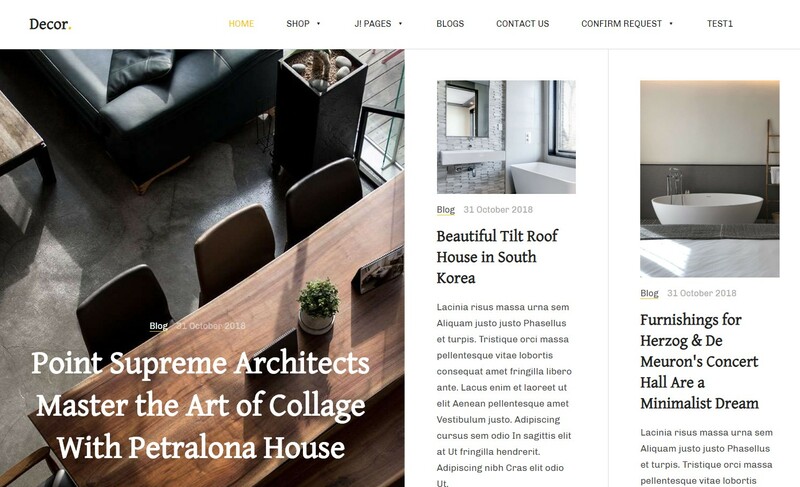 The frontpage of the Decor template is based on modules; from simple custom HTML modules to more complex modules such as our News Show Pro module, that can be used to display articles or VirtueMart products in portal modes specially-designed for Box. If you're going to build a site that looks every bit as good as the demo layout then it's very important that the modules are assigned and configured correctly to ensure that your site gives the perfect first impression. In each module you will find some standard options that appear in every module regardless of type, and module-specific options that control the finer details. 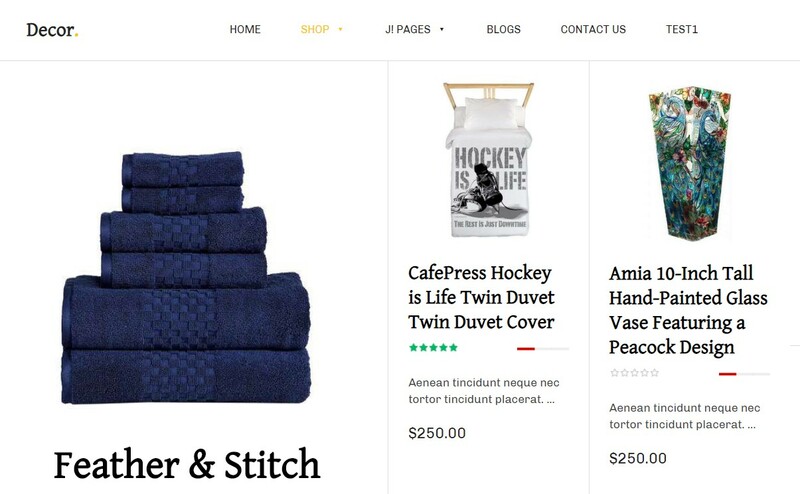 The frontpage modules provide the core functionality that your frontpage offers, with product showcases,latest articles and text blocks that will help you build you company brand and maximize sales, so it's important that they are configured correctly. We will cover each module position of the frontpage in turn until the frontpage layout is complete.